In the spring, we see lots of migratory birds in western North Carolina — some hang around for the spring and summer, while others are just passing through on their way to another destination. One of those “just passing through” birds is our May 2016 pick in our 12 Months of Birding at the Inn blog series: the Swainson’s Thrush. 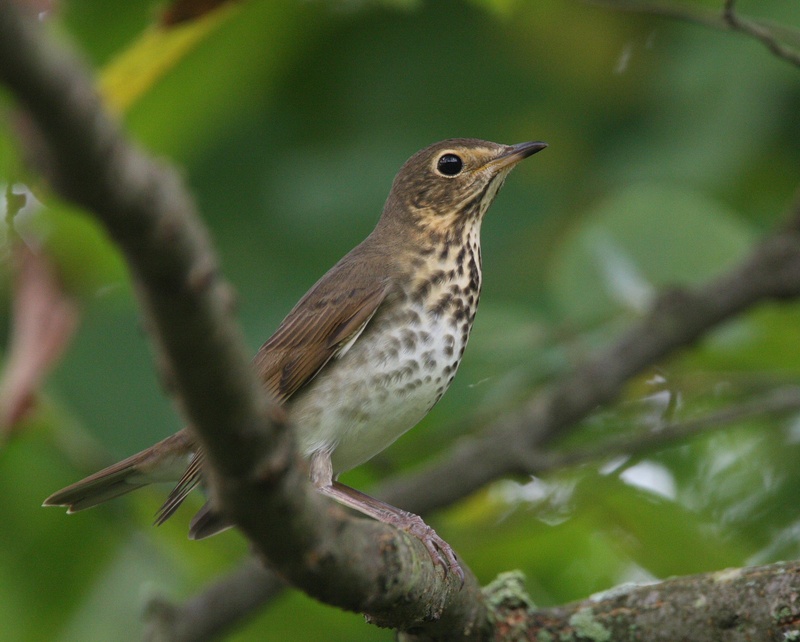 Like us and our guests, the Swainson’s Thrush loves the forest. Being located inside Pisgah National Forest, we always keep an eye out at the B&B in May for this shy-yet-vocal visitor. The Swainson’s Thrush is timid, yes, but even if you aren’t able to see one, you may very well hear it’s high-pitched peep as it really seems to like the sound of its own voice. Between the tree frogs and the Swainson’s Thrush, Mother Nature’s springtime symphony’s soprano section is in good form. 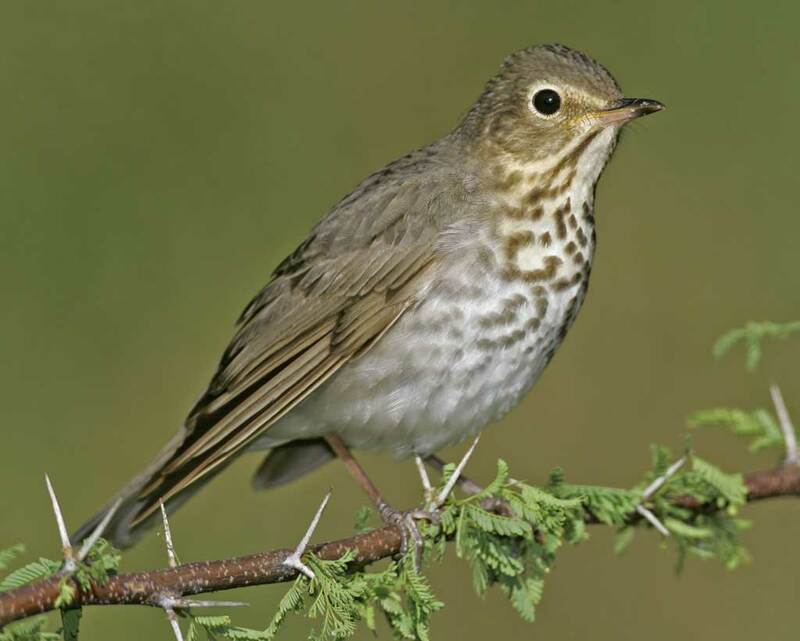 Swainson’s Thrushes are medium-sized thrushes—slim songbirds with round heads and short, straight bills. Their fairly long wings and medium-length tail can make the back half of the bird appear long. These medium-brown birds with pale underparts have spotted chests and large buffy eyerings that extend in front of the eye, creating “spectacles.” The whitish throat is bordered on each side with a dark brown stripe. This entry was posted in Birding in the North Carolina Mountains and tagged 12 Months of Birding at the Inn, birding, Spring by Inn on Mill Creek. Bookmark the permalink.